Condolences go out to Maria Shriver and her family, as they deal with the death of her father, Sargent Shriver, who had been suffering from Alzheimer’s for a number of years. A member-by-marriage of the Kennedy clan – perhaps America’s great political family – Robert Shriver, Jr was married to Eunice Kennedy until her death in 2009. 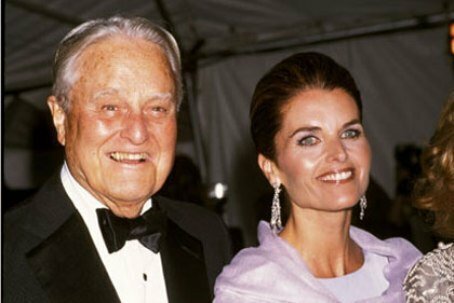 “Our dad, Robert Sargent Shriver, Jr., lovingly known as ‘Sarge,’ today went to heaven to join the love of his life, our mother, Eunice Kennedy Shriver. He was surrounded by his five children, five children in-law, and his 19 grandchildren,” the family said in a statement released Tuesday afternoon. next post: Jodie Sweetin Is Getting Married. Again. 50 queries in 1.109 seconds.